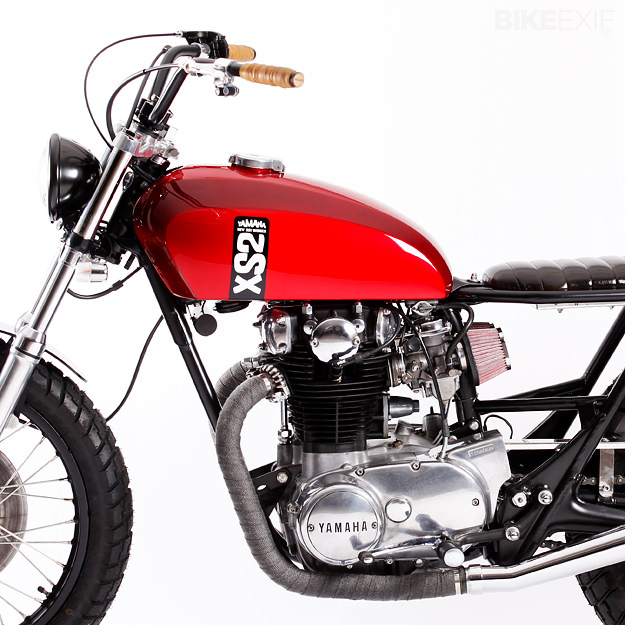 Here’s a textbook example of a clean, low budget Yamaha XS650 custom. 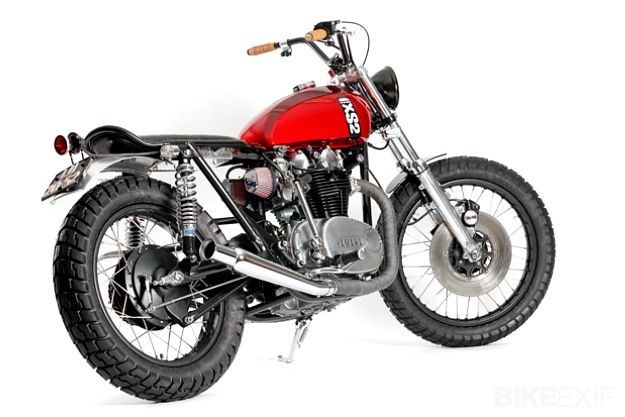 A 1972 machine, it was rescued from the junkyard and built for Hugo Ramos, publisher of the Portuguese café racer magazine REV. It’s a relatively simple build as far as customs go, but the detailing is immaculate, the styling is bang-on and there’s careful fabrication alongside the bought-in parts. 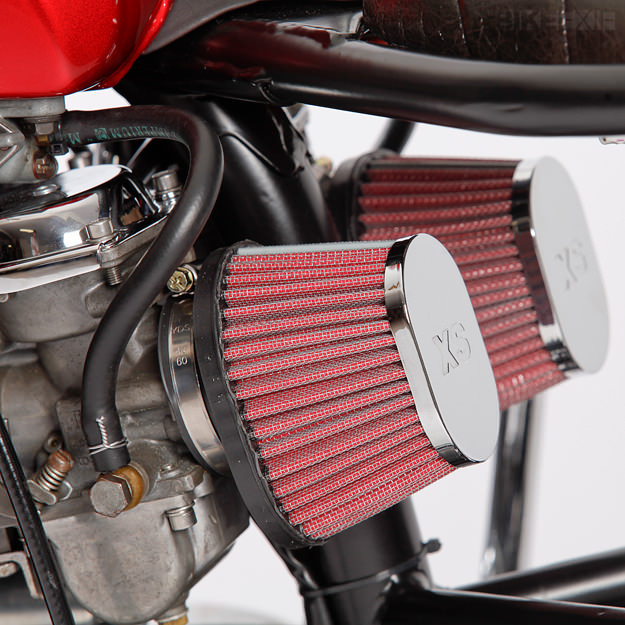 It’s the work of César “Thruxtonic”, who runs the Portuguese moto forum CR351, and forum member “HZolio”. 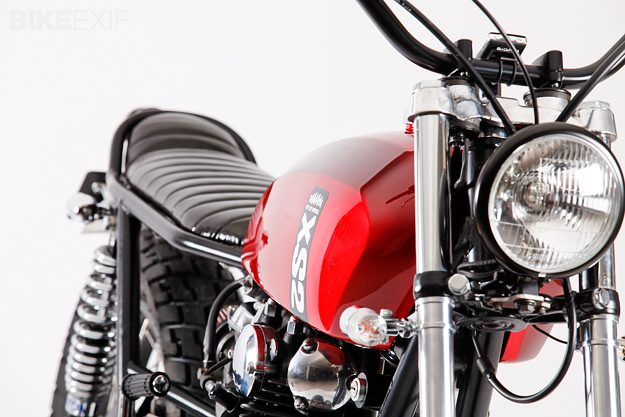 Their brief was to construct an inexpensive, lightweight bike with good handling and street-tracker style. Instrumentation is simple and unusual: a multi-function Sigma 1609 STS bicycle computer, which is a wireless system. “I wanted the front of the bike very light and clean,” César explains. He also hid the horn and even the brake master cylinder, which is now under the tank. Custom parts include the under-seat box, which holds a tiny battery—a 12V-0.8A unit measuring just 96 x 25 x 62 mm—and assorted electrics. 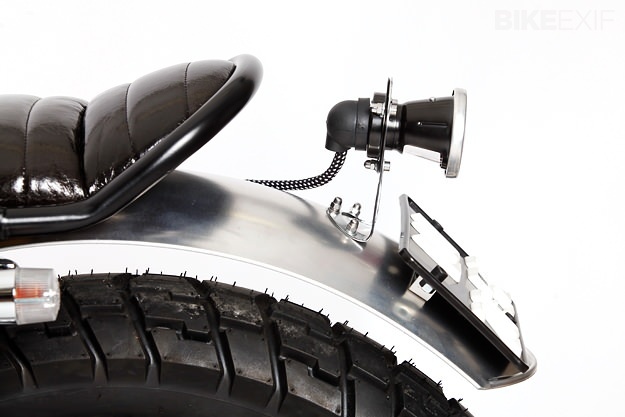 There’s a fabricated fork brace to stiffen the steering and the front fender is custom-molded from PVC. Adjustable Hagon 2819 shocks and a lustrous deep-red paintjob complete the build.